Samsung seems to be an unstoppable force. Even after the bad publicity received by the Galaxy Note 7, they have managed to release a phone that many thought would only exist in concept form. Allow me to explain. The Galaxy S8 is probably the most leaked handset to date. And it got to the point where leaks were coming out virtually every week. It became difficult to know what was legitimate and what was just rumour. Some leaks even said that the Galaxy S8 series would have no logo on the front, which many couldn't believe. From memory, all previous Galaxy smartphones have had a logo on the front. The only logical reason for the removal of it could be that the bezels would be so slim, that there would be no place for a logo. We knew early on that there would be at least two Galaxy S8 phones to hit stores, and both would have the same specs, just differing screen size and battery capacity. The S8 would have a 3000 mAh battery and a 5.8" screen, whilst the S8+ would carry 3500 mAh battery and a 6.2" screen. The screen size worried many, but it became clear that due to the bezel to screen ratio of 83.6%, things should be just fine. Fast forward to the end of March, and the Galaxy S8 is officially unveiled. 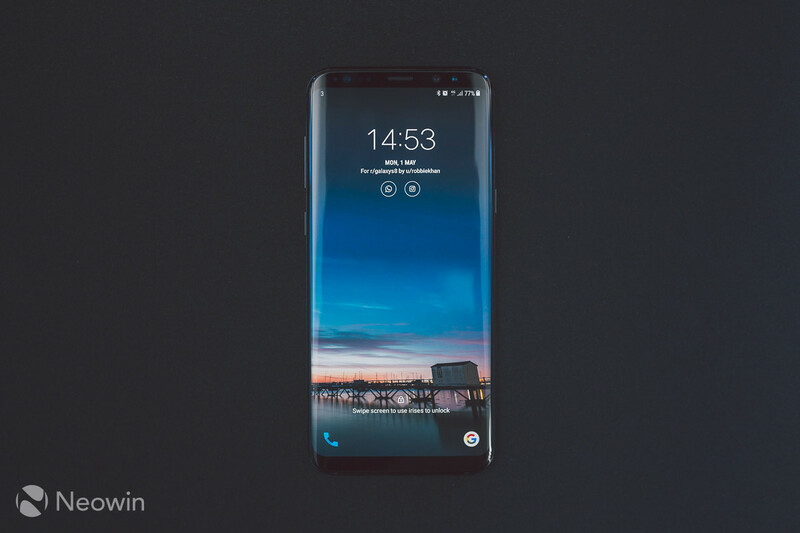 It seems the leaks were rather accurate, and the design of the S8 and S8+ is a rather big directional change compared to all previous Galaxy phones. certainly a step in the right direction for Samsung at winning over consumers who love a sleek, futuristic-looking piece of technology in their hands. This review is based on an S8+ that I purchased through Samsung's online store. It is my own unit, which I upgraded to from last year's Galaxy S7 edge. 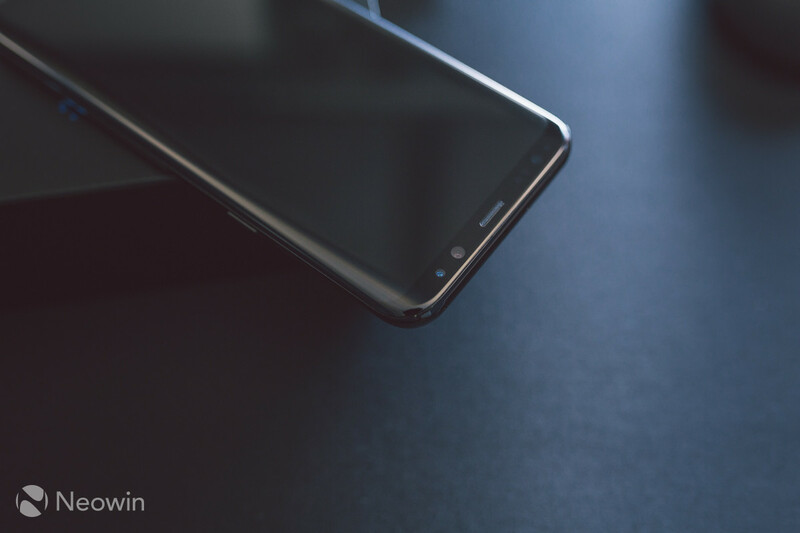 I was on the fence about this phone, or the LG G6, but after some time with both, I felt that the S8 stood out as the winner, with nicer overall specifications and ergonomics, as well as fast wireless charging in Europe (honestly LG, why omit this over here?). There are five launch colours available, and no matter which one you go for, the front on all of them comes in black. The price at the time of writing for an unlocked S8+ is sitting at an eye watering £779 / $840 / €909. Now, I know what you're thinking, as I was thinking the same thing. But this is mid 2017, and big name flagship phone prices only seem to be going up. It's a trend we will just have to deal with unfortunately. At least until less well known manufacturers can compete by matching the hardware and software experience. As this is my own handset, this review will showcase a customised approach to the look and feel of a typical Samsung Android phone. My aim is to show readers what is possible, rather than a direct out of the box experience. Where available, I have linked to, or noted any specific applications, themes or icons used. 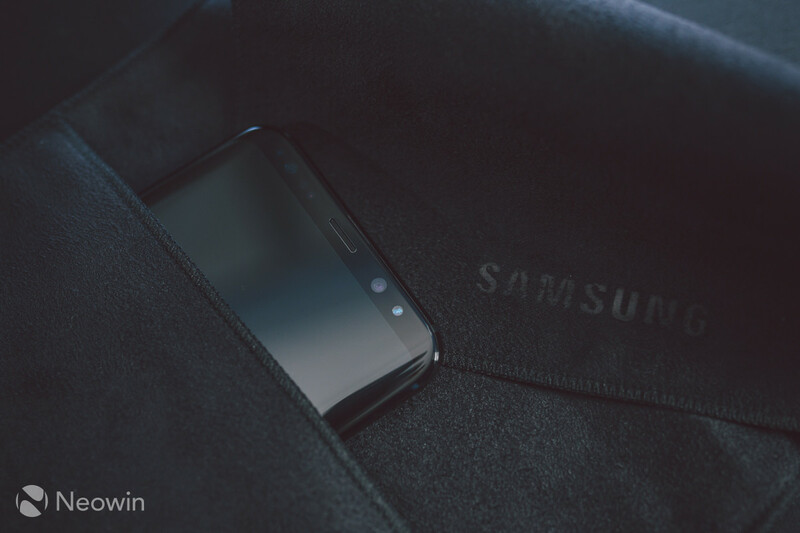 The Galaxy S6 edge had the building blocks for Samsung's premium roadmap, which was then further improved by the Galaxy S7 line. All glass and/or metal has been the go-to for all things premium. 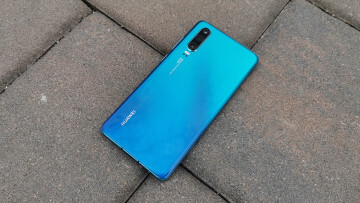 Of course, the downside to glass on the back panel is that it is a fingerprint magnet, and because it is not coated in a hydrophobic layer like that front, the smudges appear more severe. Each Galaxy flagship has seen a noticeable bump in fit and finish. The Galaxy S8+ continues this trend, with an even more flush frame to panel fit compared to the S7 edge. Whilst the Midnight Black looks the most sleek, the orchid Grey looks very elegant in the flesh. Whatever colour option you choose, the S8+ will feel like a single slab of polished glass. The black just disguises the mid-frame better. Thumbs up to Samsung for not plastering a logo on the front. 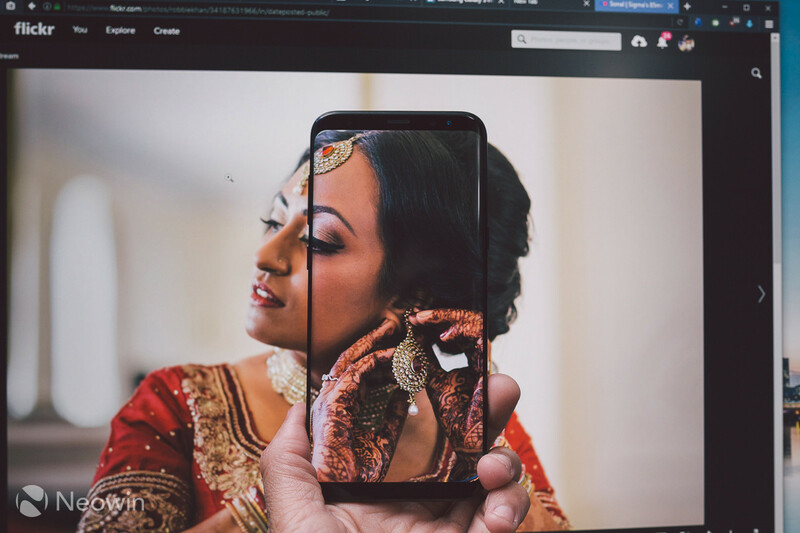 As a result, the front of the S8 and S8+ is completely clean, and in normal lighting, it's hard to tell where the screen starts and ends when there's nothing on display. The USB cable and power adapter are now finally in black! It has been a much hated tradition for Samsung to bundle white cables and adapters with black phones. Powering the Galaxy S8 and S8+ is the new 10nm Exynos 8895 for those of us outside of the USA. You guys and girls living in the States get the Snapdragon 835 variant. The two chipsets may be somewhat comparable on paper, but in reality, they are mostly neck and neck. 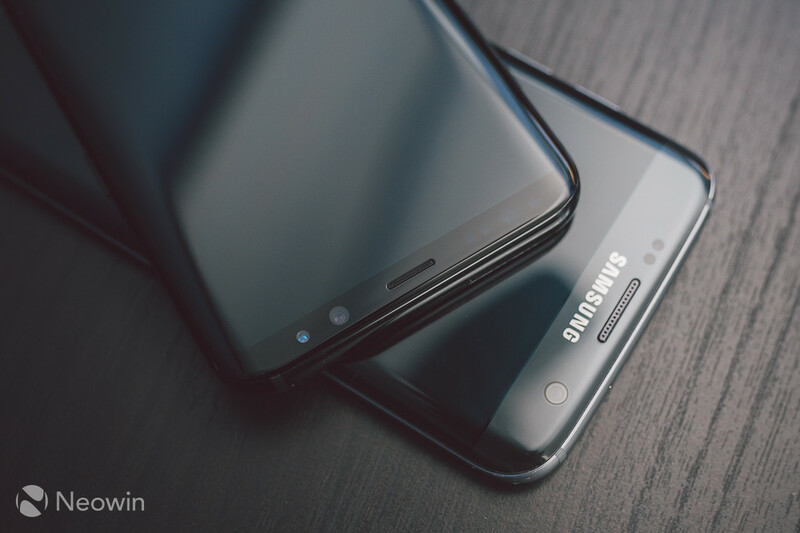 It is worth noting that even though the Snapdragon 835 supports Quick Charge 4, the Galaxy S8 and S8+ utilise only Quick Charge 2.0 regardless of chipset. This isn't a problem of course, as it still charges quickly, at around 1 hour and 30 minutes. Likewise, wireless charging takes 2 hours and 20 minutes. It also appears that the Galaxy S8 and S8+ support USB-PD (5V / 3A) for fast charging, as well as being able to power a card reader/USB hub adapter without the need for an additional power source. Even when a 4TB HDD is attached! I imagine Samsung were taking no chances after the battery issues in the Note 7, where they released the findings of their investigation. 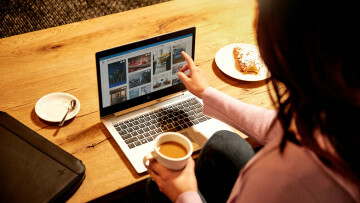 Buyers have since been re-assured by Samsung and their commitment to safety. Wireless and mobile network performance were also excellent, although Exynos flagships have always been fine here. 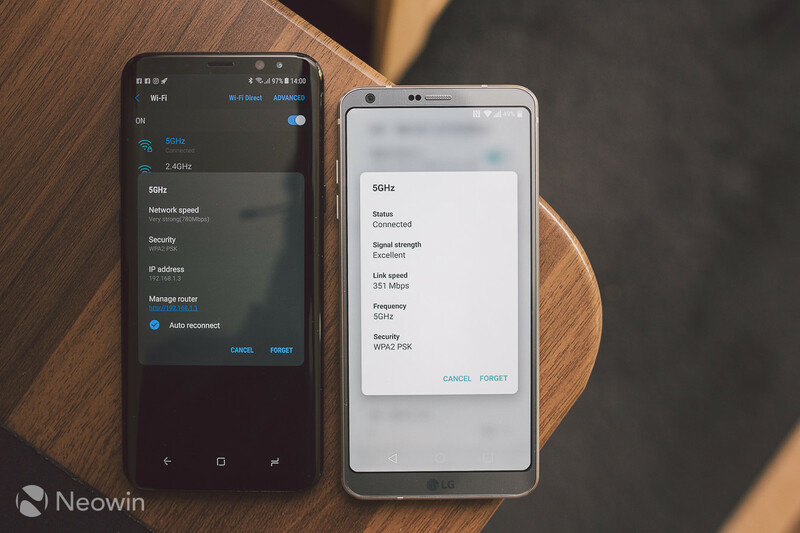 A curious observation however, I wanted to compare LAN transfer speeds between the S8+ and the LG G6, but I just could not get the G6 to connect at a similar rate. 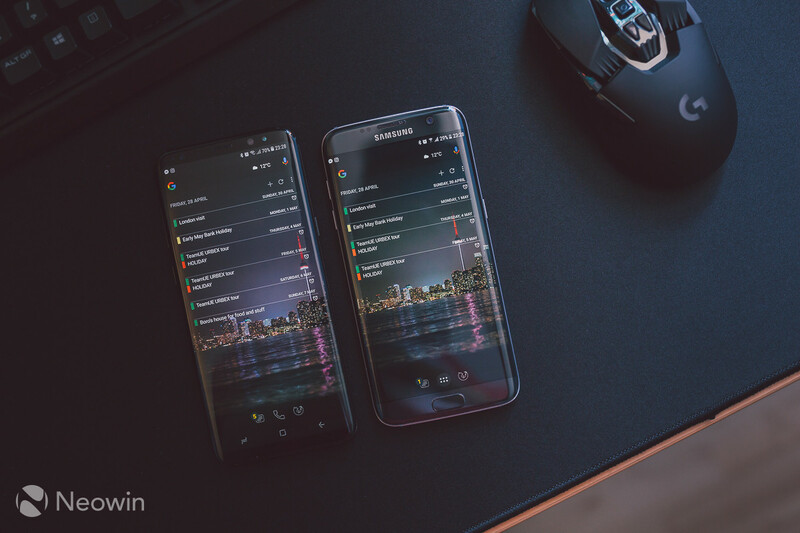 It appeared to cap out at around 350Mbps, whereas the S8+ connected 780Mbps. This was on the same AC router, and in the same room. The inclusion of a Type-C to Micro USB adapter is very welcome. 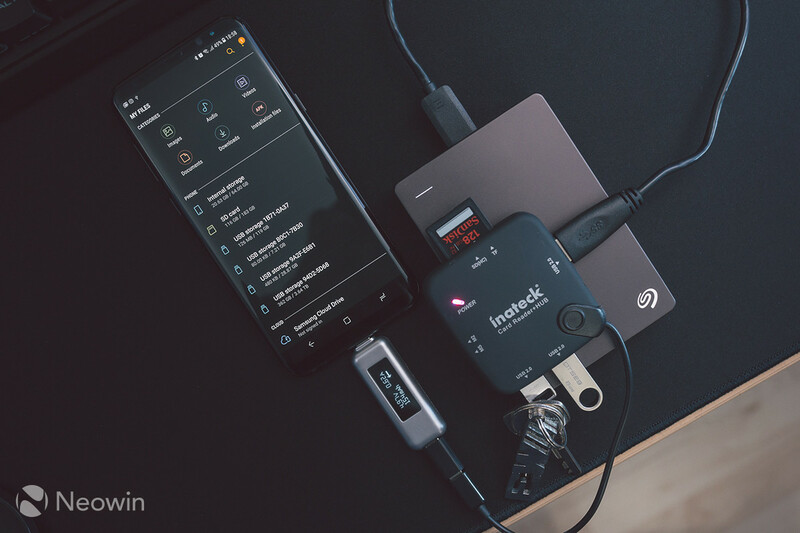 It means you can retain your existing Micro USB cable, and not have to worry about getting USB-PD compliant cables and adapters like on phones such as the Pixel. 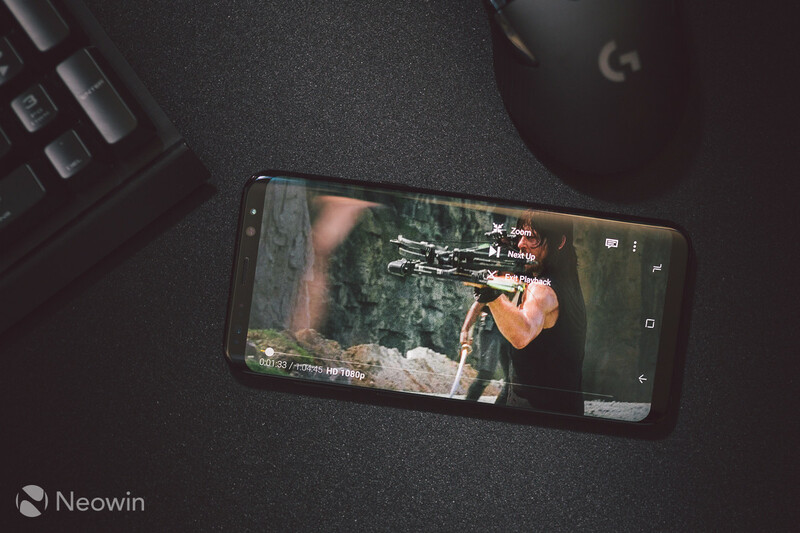 Although I get the feeling that this will be the only Galaxy to use Qualcomm's standard as manufacturers like OnePlus have adopted their own fast charging methods, whilst others such as Google utilise USB Power Delivery. 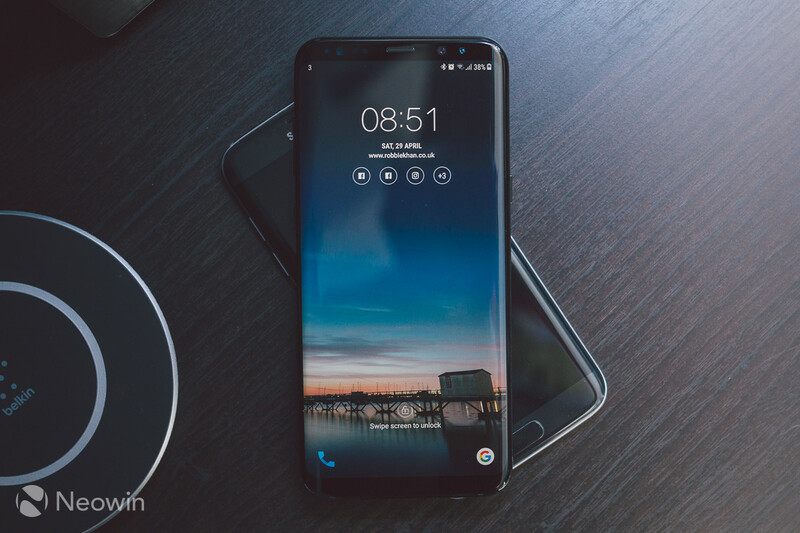 The use of the adapter with existing Micro USB cables will not affect the fast charging ability of course, since the standard used on the S8 and S8+ is Quick Charge 2.0, (or as Samsung likes to call it, Adaptive Fast Charge). USB Power Delivery at 5V / 3A is also supported for fast charging, which I talk about later in the review. Otherwise, fast charging rates for both wired and Qi on the S8 remain the same as the S7 and S7 edge at 9V / 1.67A. (15W). With wireless charging, the actual rate is closer to 11-12W once efficiency losses are considered. 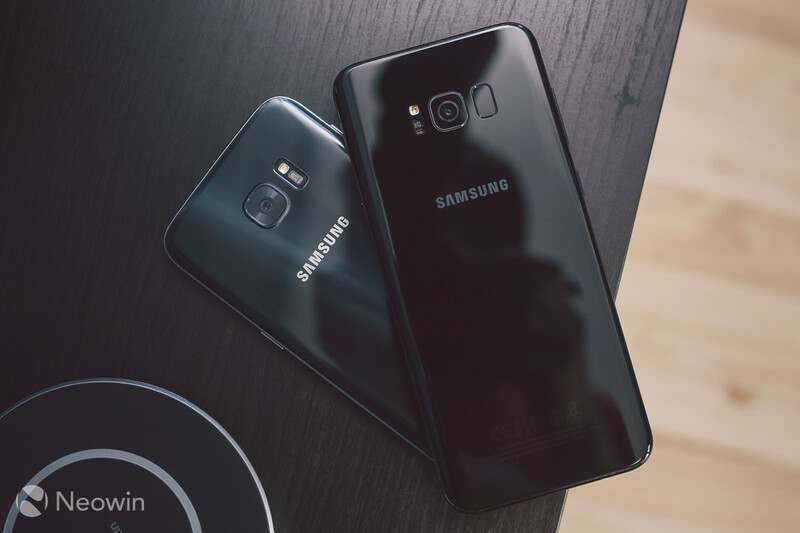 The S8s are the first phones to hit the market with Bluetooth 5. 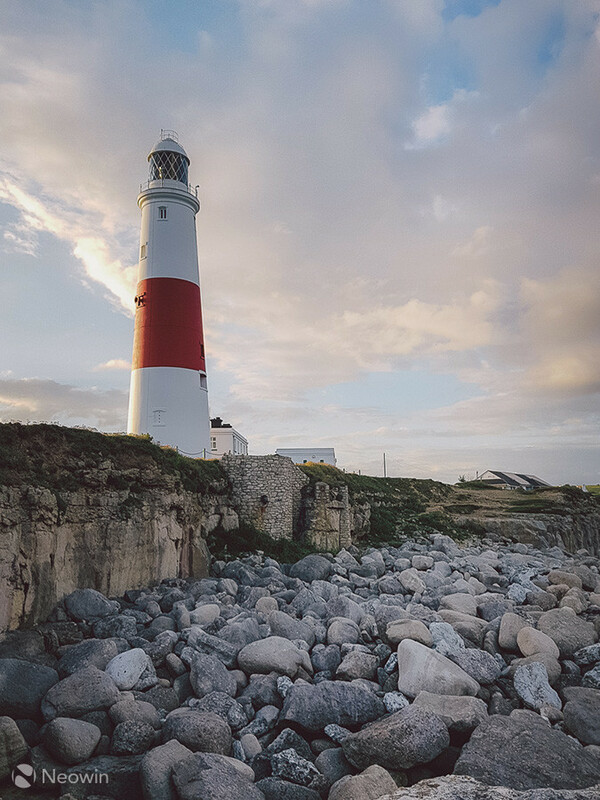 It is too early to fully realise its potential, but in the short term, you can expect longer Bluetooth range with less interference around crowded airwaves. I also noticed that Bluetooth management is more polished than what it is on the S7 edge. There is also now a dual audio mode, where you can output audio to two different devices at the same time. 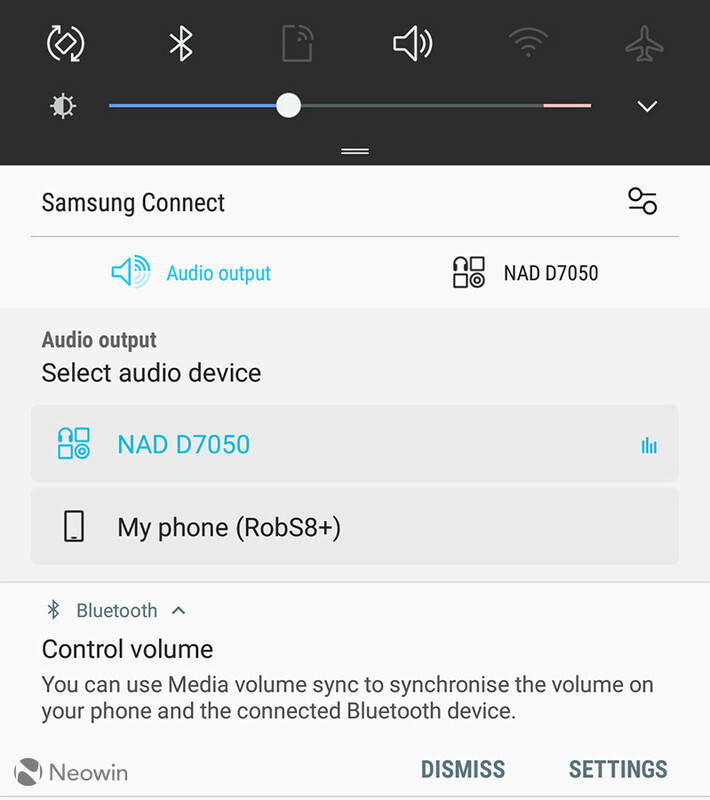 As well as a settings to synchronise audio volume between both the connected device, and the phone. 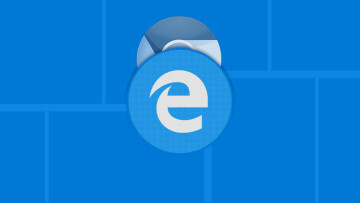 Perhaps the most radical change though, is the removal of the physical home button. Love it or hate it, this has been Samsung's signature feature since the original Galaxy S in 2010. The Galaxy i7500 from 2009 can't be counted really, because even though it ran Android, it didn't have a dedicated home button. Thankfully, that is the only courageous removal on the S8 and S8+. In its place lies an embedded home button below the display. Press the area where you would normally expect a physical home button to be, applying the same pressure as you would on a normal button, and you are greeted by haptic feedback. It is not as high quality as the iPhone 7 haptic motor, but it's certainly good enough. 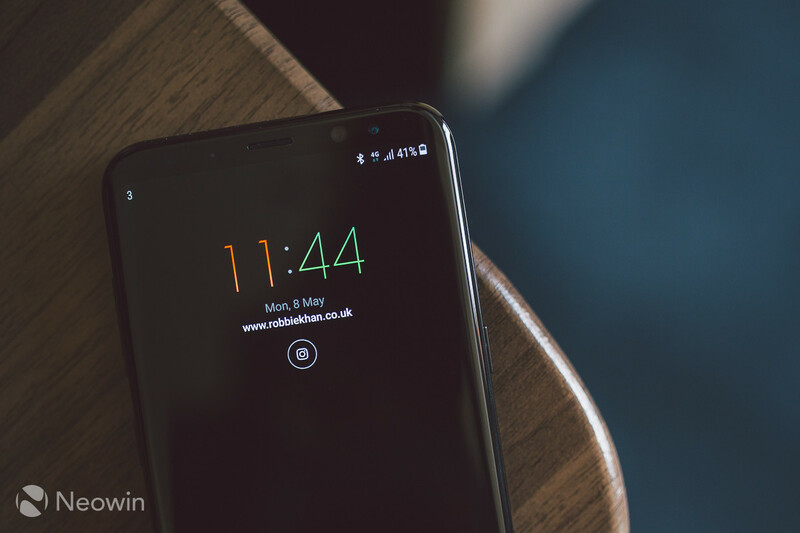 The on-screen home button outline is on permanently when using the Always On Display feature. But even if you are not using it, the area is always active, so you can press home to wake the phone when the screen is off. Anyone afraid of screen burn-in need not worry. The home button does move about when the AOD feature is in use. You can also remap the back/task switcher buttons around to be in the "correct" order. Android purists can finally rejoice. 2017 is set to see a growing trend in narrow phone displays with minimal bezels. Android Nougat's multi-window mode plays brilliantly with this, by allowing two apps to run side by side with greater flexibility. Multi-window is nothing new, and I personally don't know anyone who actually uses it on their phone. Even as a power user, I rarely use it unless I'm showing someone what is possible. It remains to be seen then, whether these wide displays will guide people to using such software features. The super-wide aspect ratio makes for an immersive media experience. 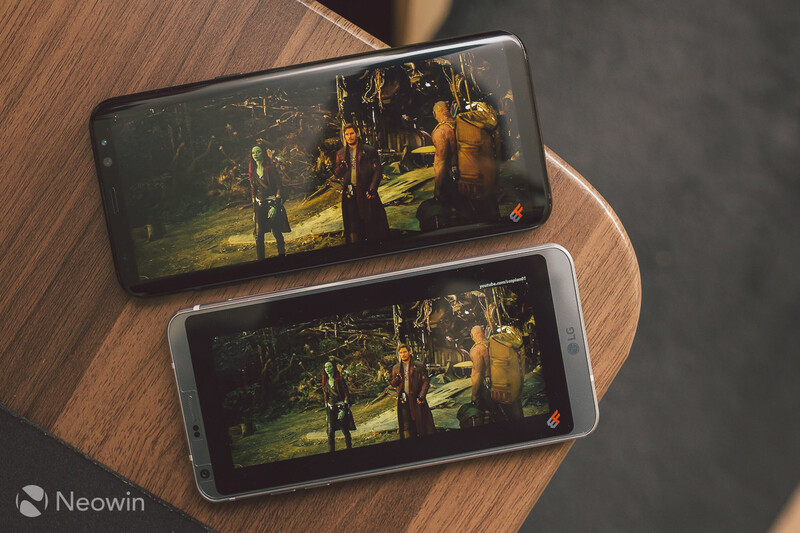 Compared to a phone with a 16:9 display, videos have greater depth. Much like how an ultra-wide PC monitor drops you into the action when gaming compared to a standard widescreen monitor. As MKBHD aptly put it, the video just melts over the edges. 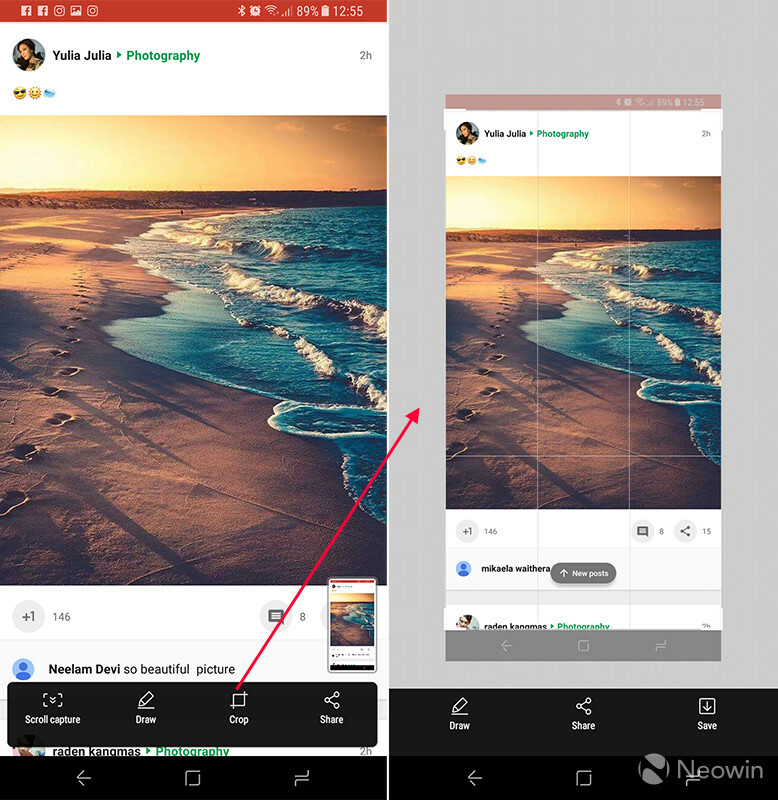 When playing 16:9 content in apps like YouTube, a little floating button appears, that when pressed, will expand the video to fit the full width of the display. Of course this means it'll get cropped a little bit on the top and bottom, but in the majority of videos, the cropped off areas are non-essential anyway from my experience. In apps where the floating button doesn't show up, you have to manually use the zoom functions in them directly. Amazon's Prime Video app is one such example, where the zoom control allows for crop and expand to make full use of the new aspect ratio. LG's G6 also has a floating button to crop in videos in the same way, but on the G6, it appears that the YouTube app doesn't allow the feature to work, which results in a somewhat average experience on its 18:9 display. The S8's new Super AMOLED display supports Mobile HDR Premium, but HDR sources for mobile are not readily available at present. Netflix has confirmed the next version of its app will support it, but Amazon's Prime Video and YouTube have no details just yet. There is a reason why DisplayMate awarded the Galaxy S8 the title of "best" display ever on a phone. I find the screen to be easily viewable in sunlight. Brightness levels are high, but then again they have to be in order to comply with HDR specifications. This is one display that's usable in nearly all conditions, even in the wet, where I found the touchscreen functions more accurately than its predecessor. Colour accuracy was also acceptable out of the box on my handset. I did tweak the RGB controls slightly to drop the red and blue tones down a shade so as to be closer to my PC monitor which is hardware calibrated. The result was quite pleasing, especially as Samsung pushed out the colour balance update to unlocked UK handsets today. There is still that AMOLED vibrancy at play of course, and you can see a touch of this in the above photo. Sadly, Samsung's latest only ship with Android 7.0, not 7.1.x. This is a shame, as it would have put the S8 handsets a clear step above the LG G6, which also ships with 7.0. Here's hoping that Samsung are quick to release Android O for it, or at least have a beta channel like they did with Nougat on the S7 edge. Grace UX remains a familiar sight on the S8. The Samsung Experience version jumps from 8.0 on the S7, to 8.1 on the S8. There are refinements throughout, which add up to a more pleasant experience. But all of these changes could have been ported to the S7 also, Samsung just chose not to. Things like mapping the volume button so that it changes the media volume instead of ringtone volume, and having full music controls, with album art, on the lockscreen. 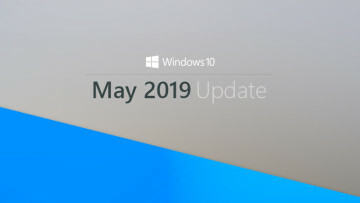 Other changes include Smart Capture via the Edge Panel feature. This allows you to capture areas of the screen as shapes, or create gifs from videos being played. The Galaxy S8 phones could be a MEME creators best friend, then. Samsung's screenshot implementation has always been a cool addition to Android. The S8 still retains the useful scrolling screenshot function, as well as annotation and crop controls. The crop feature now auto-crops out the navigation buttons and notification bars with a single tap. In previous versions, you had to manually crop out those areas you didn't want to share in a screenshot. Simply press the recent apps switcher button, and tap the round blue button on the top right of the active application tab. The button will only appear for the active application, and only when the application doesn't officially declare itself in support of the taller aspect ratio (even though it most likely will work anyway). This saves time, as you don't have to go into Display Settings and scroll through to find the app to switch between modes with. In a nutshell, Grace UX is elegant and highly polished in its current form. The theme engine is integrated as always, and there are a number of Material/Pixel/Nougat inspired themes and icon packs to give you that stock Android feel, especially if you are using a third party launcher, such as Nova. 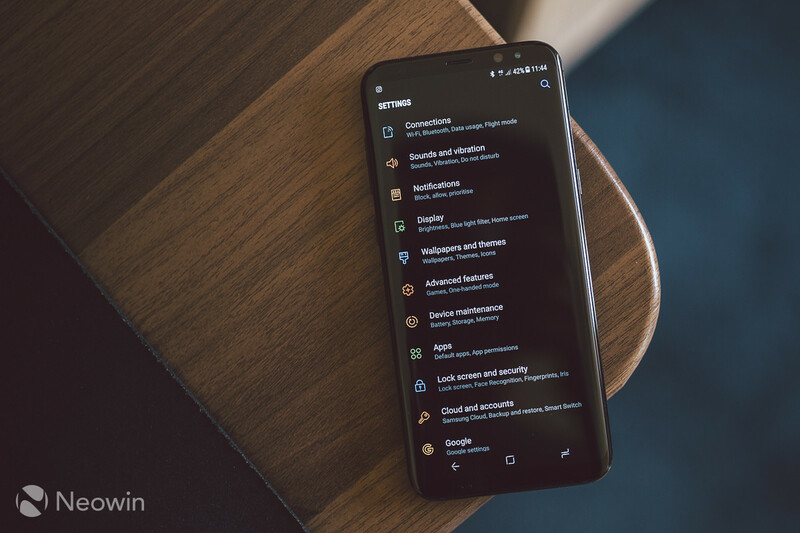 For reference, all of the screenshots and photos in this review show Nova Launcher, and the themes, Material Design 7.1, sd_Black, and an XDA community one. 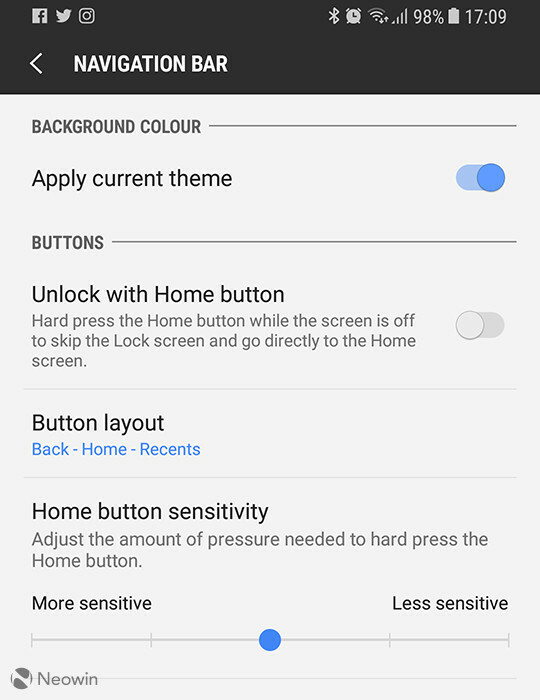 Dark shaded themes work especially well on an AMOLED display, and will typically conserve energy better, as each black pixel on such a display means that there is nothing to illuminate. I found there to be a few instances of micro-stuttering in some apps. However, there does not seem to be any stuttering in Samsung's own apps, or Grace UX itself. This is an issue that affects many other Android phones. It doesn't matter if they are flagships or budget devices. This might be why Google is said to be making its own chipset for future Pixel phones, perhaps even as early as Pixel 2. Following the Apple way by tailoring the software to a specific hardware spec means optimisation is made a whole lot simpler. Is there an elephant in the room? I'll be honest, I tried Samsung's version of Google Assistant for a day, and then proceeded to disable it. I found it to feel unpolished. For starters, whilst Bixby Vision in the camera app works for recognising images of things you show it, it finds no shopping results for those items. 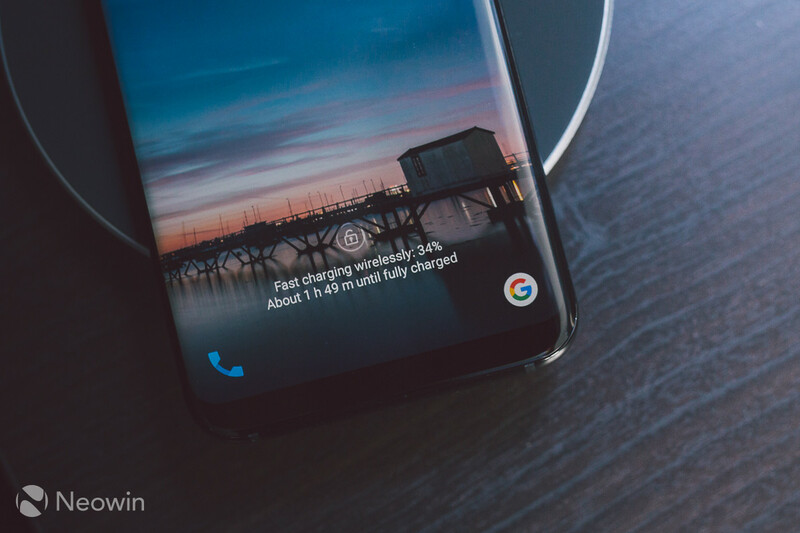 The voice assistant side of Bixby has only been released in Korea so far, with no details yet on a wider release. Bixby is forced on owners. 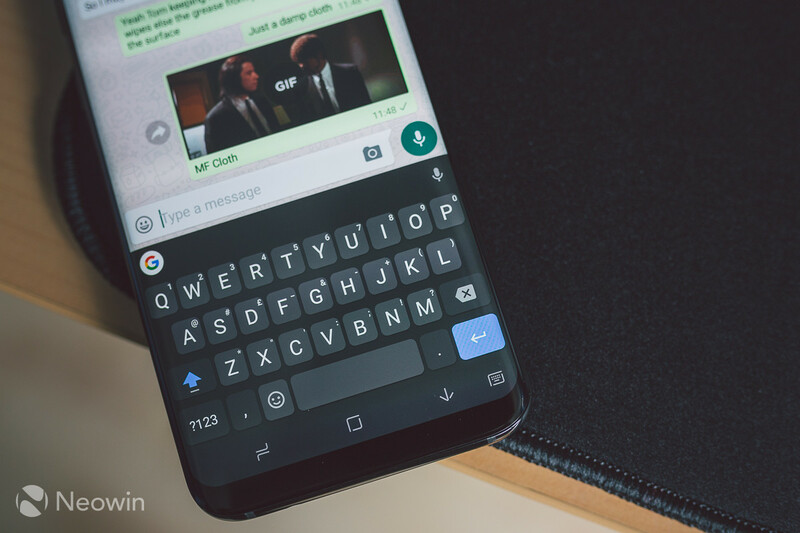 At release, the Bixby button below the volume rocker could be remapped to any other app. Samsung later released an update which blocked this feature. Luckily it was brought back later by a third party. It is amusing because Google Assistant also comes enabled out of the box, and it works flawlessly. Why would I want to spend weeks/months re-training a new digital assistant my usage habits when Google is readily there and works exactly as expected? The rear camera sensor is newer than the one on the Galaxy S7, but the specifications remain identical. It goes without saying that from everything that I have seen and tried, the images and performance are also identical. It is in the front facing camera where a couple of changes are seen. The S7 and S7 edge have a 5MP fixed focus lens, whereas the S8 has an 8MP sensor with autofocus. Unlike the LG G6, there is no dual camera lens set-up. 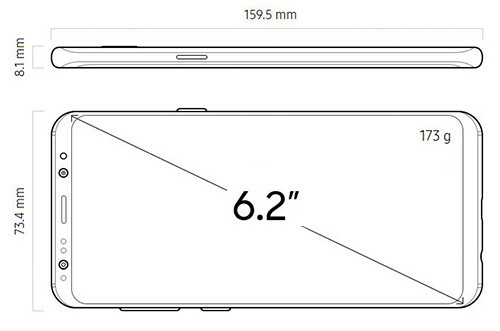 Looks like we could be waiting for the Note 8 before we see such a configuration on a Galaxy flagship. The camera app itself has no noticeable design changes over the S7, and as such, makes no use of the extra screen width. 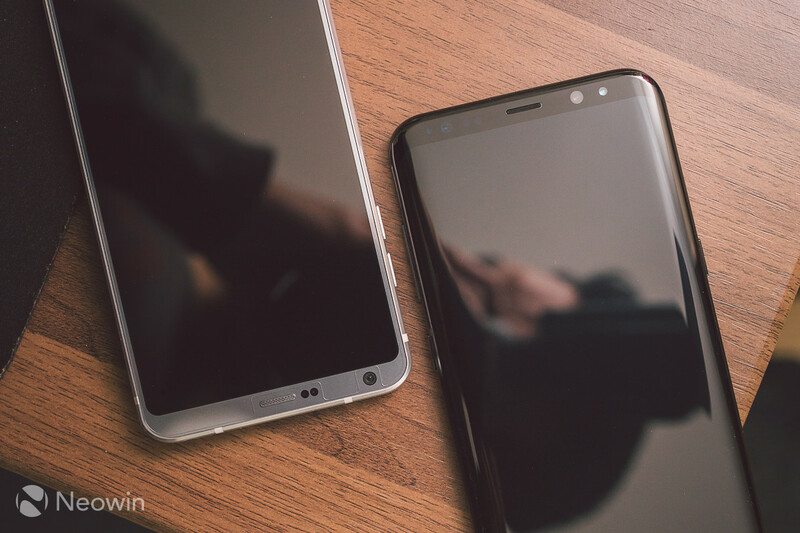 The LG G6 allows you to put a thumbnail scroller along the left of the screen when the camera is active in order to allow quick previews of photos already taken. However, with a little help from XDA Forums, it's quite easy to expand the camera app's viewfinder to maximise the use of the wider display. It doesn't add any extra functionality, but does look cooler. 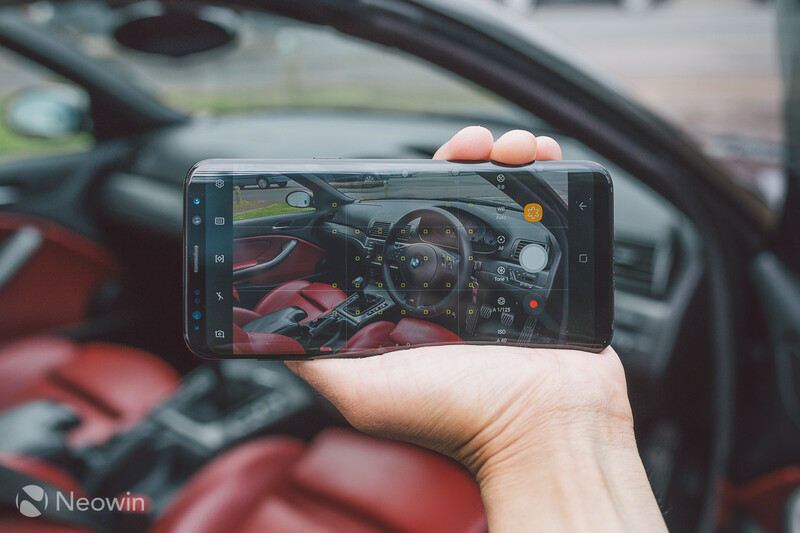 For maximum effect, you also might want to set the photo resolution setting to 18.5:9 (7.9MP) if outright resolution isn't desired, since the quality remains the same. Other than this, if you are familiar with the Galaxy S7 rear camera, then there is nothing new to be seen in the S8. Both cameras are superb, especially in low light, so there is nothing to scoff at here. 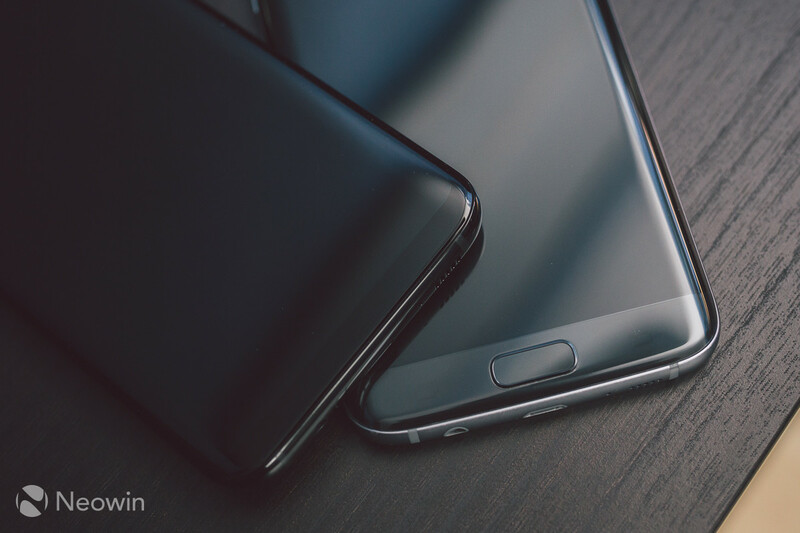 The S8 and S8+ boast some advanced forms of biometric authentication for unlocking, and logging into things like Samsung Pass. The Note 7 first introduced iris scanning, and the S8 has an even faster implementation. The scanner registers 200 points on each eye, and is said to be the most secure method of authentication. In practice, I found the iris scanner to be so quick in most lighting conditions, that I barely have time to look at the lockscreen before the phone unlocks. Scanning works in complete darkness as well, thanks to the infrared sensor. I didn't bother using the fingerprint sensor on the S8+ due to its awkward placement. It's simply too high up, and too easy to smudge the camera lens. Thankfully the iris scanner is so convenient now, that I use that instead, and pattern/pin unlock fall-back when in strong sunlight. 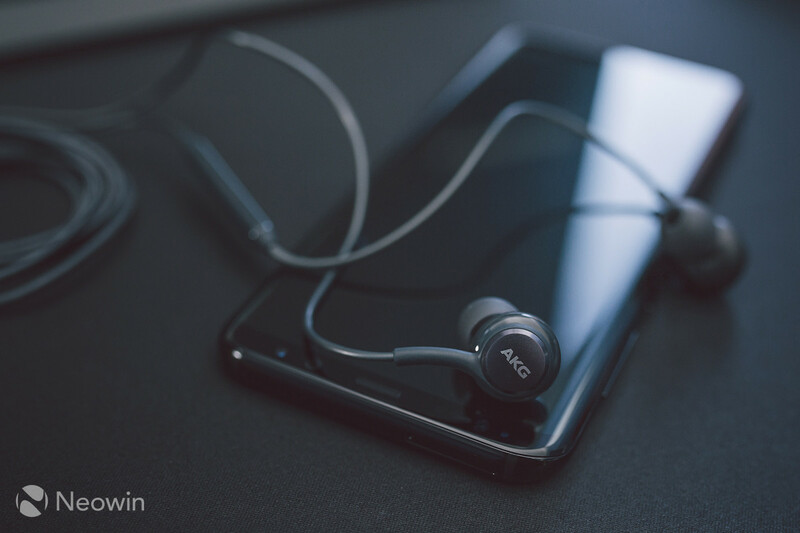 Samsung claimed that the bundled earphones were "High end AKG" during the S8 launch event. It later transpired that they are merely Samsung buds, just tuned by AKG, and in prettier clothing. Now this makes logical sense, since AKG is a part of Harman, and Samsung own them. Are they any good, though? They certainly look and feel good, and in most regards, this is what matters to the average person the most. They do not look like the usual earphones that get thrown into the box with any new phone purchase. The AKG branding also helps solidify the premium perception, as does the braided cable. I think the key point to be made here is that they are "tuned" by AKG, meaning they've been tweaked to deliver a better sound than basic earphones. Having listened to them, I can confirm that they are indeed better than basic earphones, but by no means are they up to par with actual premium earphones. I've owned a pair of Sennheiser CX300 in the past, and they deliver a richer sound out of the box. The ear tips provided with these earphones didn't provide the most suitable seal around my ear canal though, and this is probably why I didn't find them as great as I probably could have. I did attempt to use the Comply Premium memory foam tps that come with the Jaybird X3, but they were too big for the necks on the S8's earphones. Where I was impressed was with the DAC inside, and how it was able to power a pair of Sennheiser HD650s to loud volumes, at least loud enough to be enjoyable. There was no distortion at max volume, and both ends of the frequency range were nicely presented. This is thanks to the Cirrus Logic CS43130 MasterHIFI Audio DAC used in the Exynos S8 and S8+, a marked upgrade over the S7 edge. 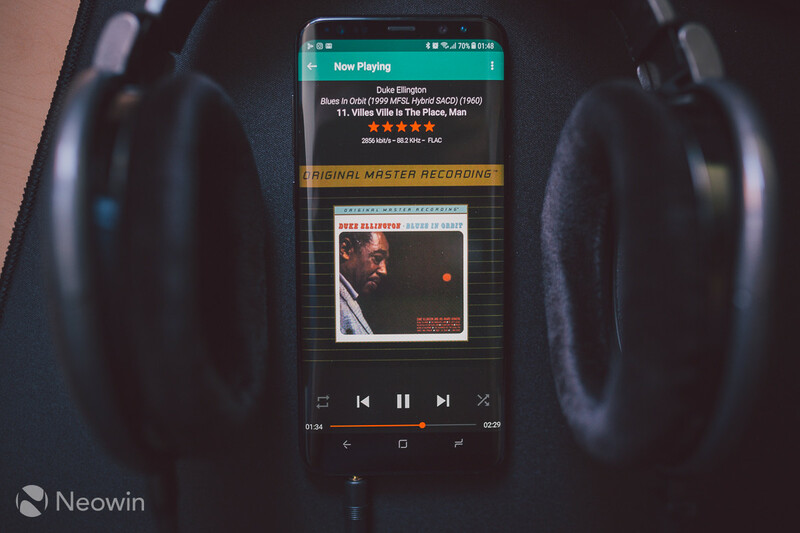 Whilst the S8/S8+ output won't beat the ESS Quad DAC found on the LG V20, it is very much a boost to provide a high quality audio experience. The Galaxy S7 edge has 100 mAh more capacity at 3600mAh, and in my review of that, I noted that 20 hours from a full charge with 4 hours screen on time was what I was seeing. With the S8+, I have been seeing increasing battery life as time goes on. 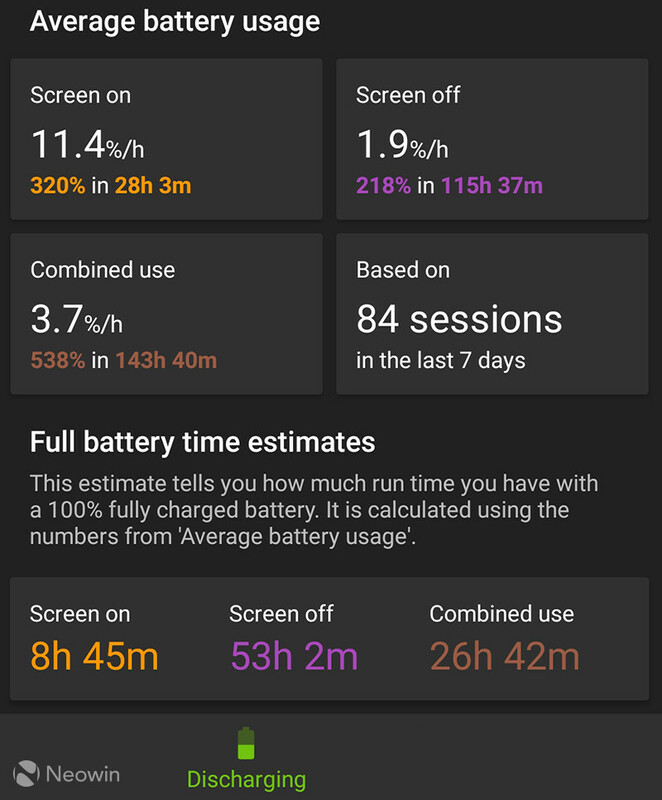 The first couple of days, 18-20 hours per charge with around 4 hours screen on time was the norm. Now that Doze has settled in and learned my app usage pattern, I see around 25 hours per charge with the similar screen on time. This is with the exact same configuration as the S7 edge, same network, the same 104 apps and the same sync settings. Samsung say the Exynos 8895 is more efficient and uses less power than its predecessor, and my experience certainly points to this being true. The major plus in favour of the new phones is that Samsung has said the battery will retain 95% of its capacity after two years of regular charging. To put that into perspective, the S7 edge loses 20-25% of its capacity in the same timeframe. After 14 months, my S7 edge now only lasts until the middle of the day before a top up is needed due to the battery draining so fast. AccuBattery pinned the estimated capacity after a year to just over 2600 mAh. 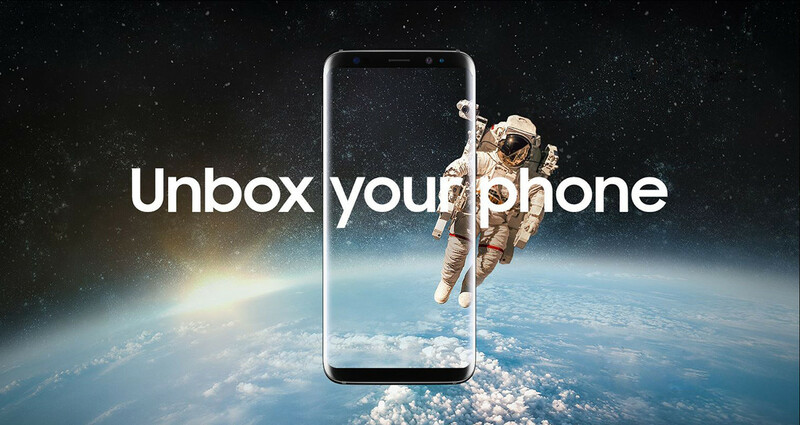 If Samsung's claim is true, then this is a huge selling point for the Galaxy S8 and S8+. I will return to this review in a year to let you know what the deal is. 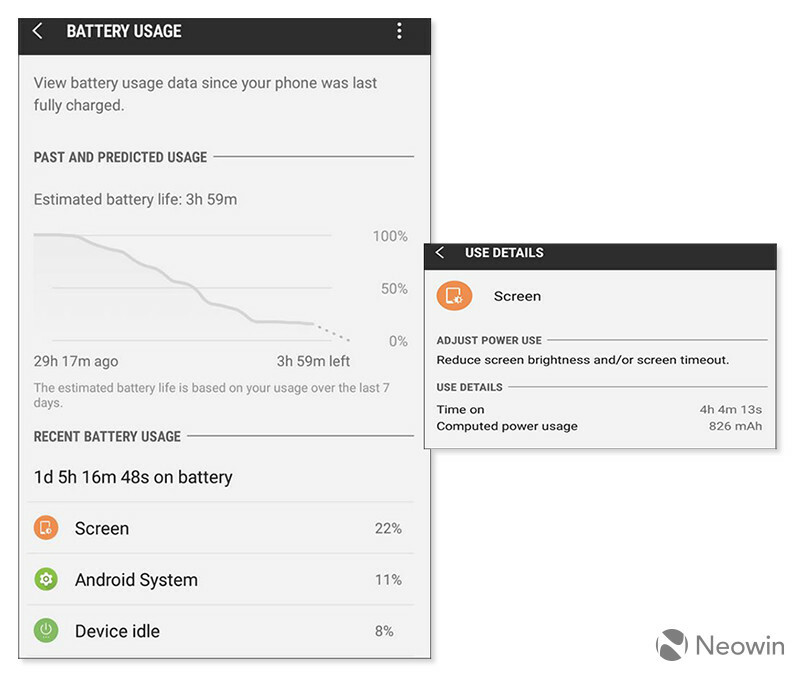 So far, no other manufacturer has commented on battery capacity degradation after long term use of their devices. Perhaps this is why the S8 uses Quick Charge 2.0 (9V @ 1.67A) by default, as Samsung's new battery technology to minimise long term capacity degradation might not work so well with the higher variable voltage and current delivery of QC3 or 4. Another big difference compared phones like the HTC 10, is that both S8s support USB Power Delivery. This means that USB Type-C chargers complying with the USB-PD standard, and outputting 5V @ 3A will fast charge the S8 and S8+. Power efficiency also seems very good. I took a day trip to London recently, and had the WiFi hotspot enabled. Total driving time was just shy of 8 hours, with the hotspot active for approximately 7 hours and 30 minutes. The battery was full when I left home, and was at 24% when I returned in the evening. This was inclusive of normal usage throughout the day as well. 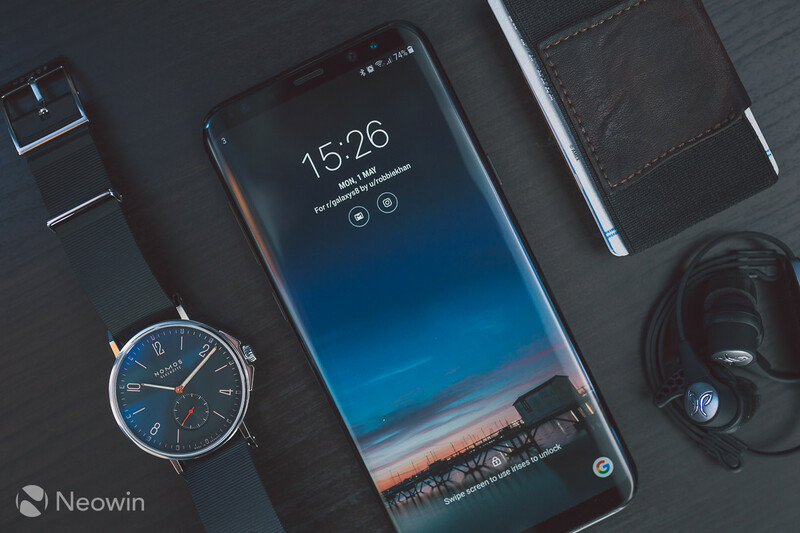 The price might make some shoppers head towards LG's direction, but the Galaxy S8+ proves that you can have a phone with all of the features people could want, yet at the same time, retain a premium look and feel. I am having trouble thinking of another flagship phone that packs in all of the above, and offers those features globally. The Snapdragon vs Exynos differentiation isn't a big issue because they perform so much alike, and pack in the same features. 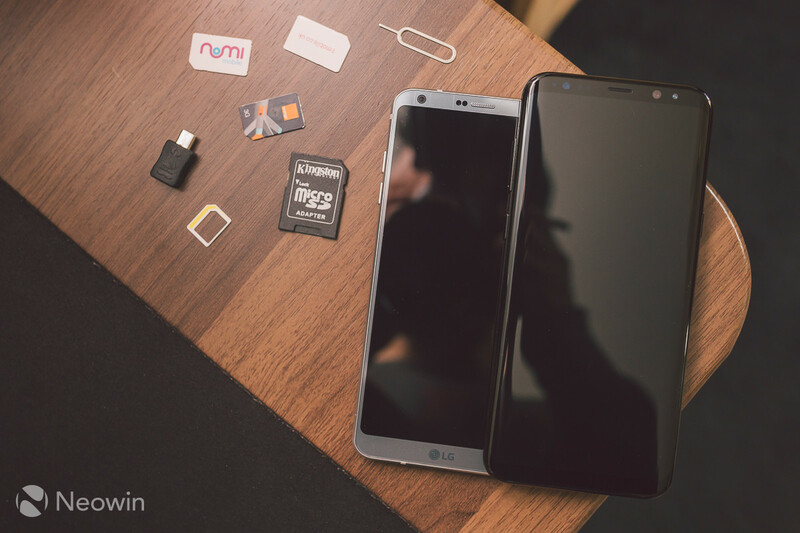 It is not the same as LG's G6, which comes with wireless charging in the USA and Canada, but no HiFi DAC, and then neither of those features in Europe. I like to think of it as an evolved Galaxy S7 edge. Yes, the screen has grown and the battery has shrunk, but the screen to body ratio has improved, as has power efficiency and design. The screen is of course the major highlight. 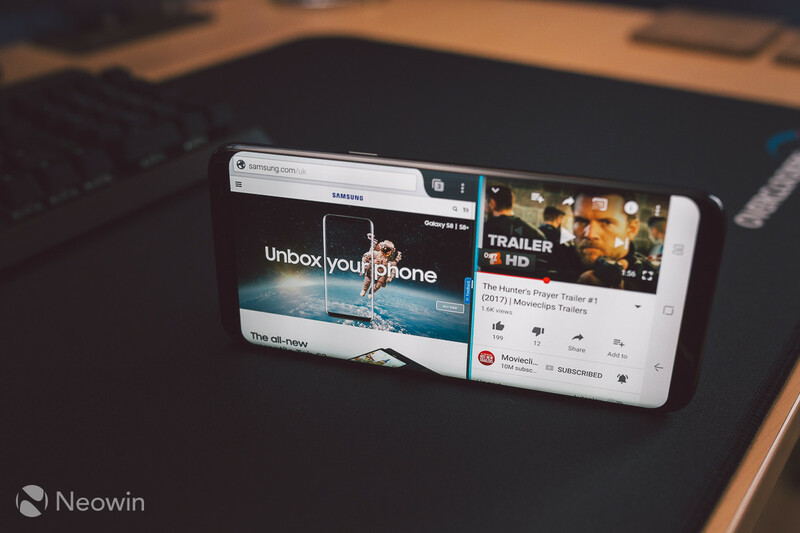 Expand any video to fill the entire display, and you're treated to something no other phone can duplicate. The LG G6 gets close, but it's no cigar next to the S8 or S8+. Ultimately it comes down to individual preference. For me, the seamless flow of the display, especially when watching videos, makes the Galaxy S8+ a winner. Samsung's claim that the battery wll retain 95% of its capacity for two years is also a tantalising prospect if it holds up to be true. The average phone contract is 24 months, and will mean a Galaxy S8/S8+ will still provide nearly new battery life throughout that period, whereas with other phones, you are going to see a noticeable drop in battery life approaching the end of the first year. 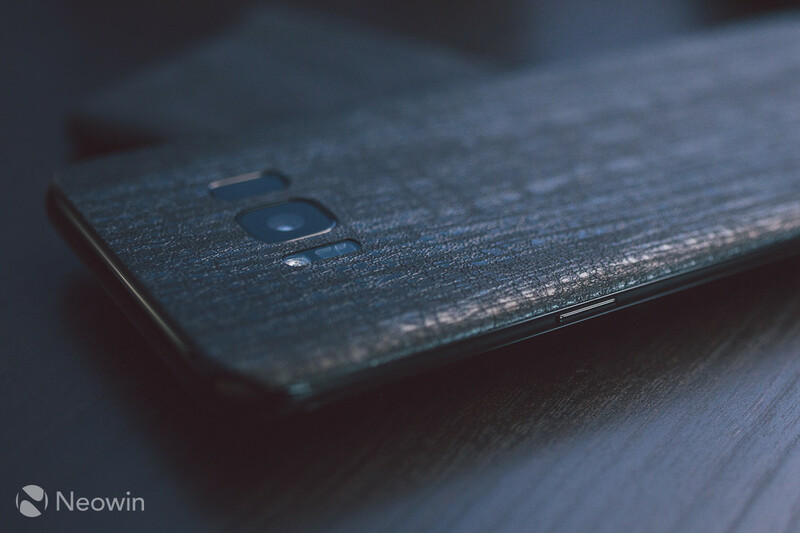 The glossy back panel is a major fingerprint magnet, and I won't scar your eyeballs with how mine looked before I wiped it down and applied the d-brand dragon skin. I was never a huge fan of glossy backs anyway, and wish more manufacturers adopted frosted glass backs like Sony originally did with the Xperia Z5. I have of course noticed some bugs that crop up here and there. The force touch home button sometimes activates even with a gentle touch, and charging stopped entirely, requiring the screen to be turned off, then on again to fix. These may well be software compatibility bugs, as the home button sensitivity is adjustable, and the charging may have halted due to the use of AccuBattery. We as consumers are in a strong position for 2017. There are many flagship phones coming out this year that should also be sporting thin bezels and flowing displays. If anything, they will help drive the price of the Galaxy S8 range down.